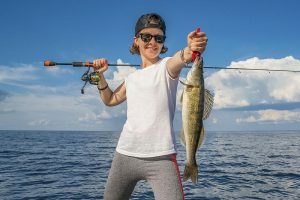 Saginaw Bay fishing pressure was light all week due to hot weather during the week and rain on the weekend. 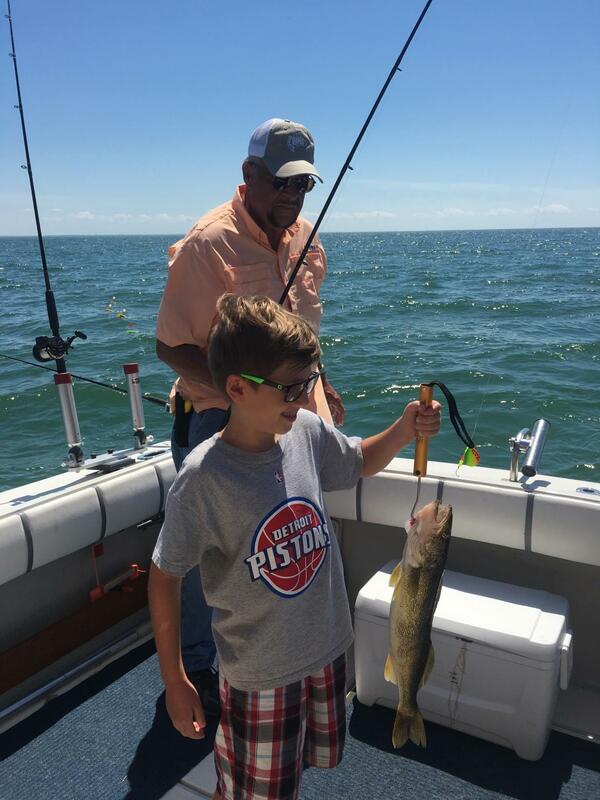 Some walleye were taken off the Pinconning Bar from 19-25 feet. A few perch being taken from the Black Hole, sailboat buoys G and H, and out of the old shipping channel north of the Saginaw River mouth. 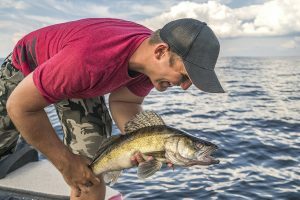 Over on the east side of the bay, walleye fishing was generally slow but individual boats did fairly well if they found some active fish. Surprisingly, some boats have done well in eight to 12 feet and others in 15 to 17 feet. Perch fishing on the east side was generally slow with a lot of sorting necessary. Shore anglers in the Quanicassee River were getting small perch and panfish and a lot of dogfish. Saginaw River river fishing at Smith Park was turning up a few drum and catfish from very warm water. Au Gres Area boat fishing pressure has been pretty light. Walleye anglers were concentrating their efforts northeast of Big Charity Island and near the Steeples in 20 to 32 feet. 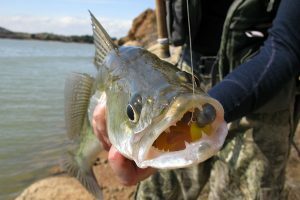 Some walleye have also been taken off Whitestone Point. Some perch being taken off near the hotel in 20 to 35 feet. Eagle Bay Marina had some nice catches of perch from 15 to 20 feet off the Saganing and Pinconning bars. 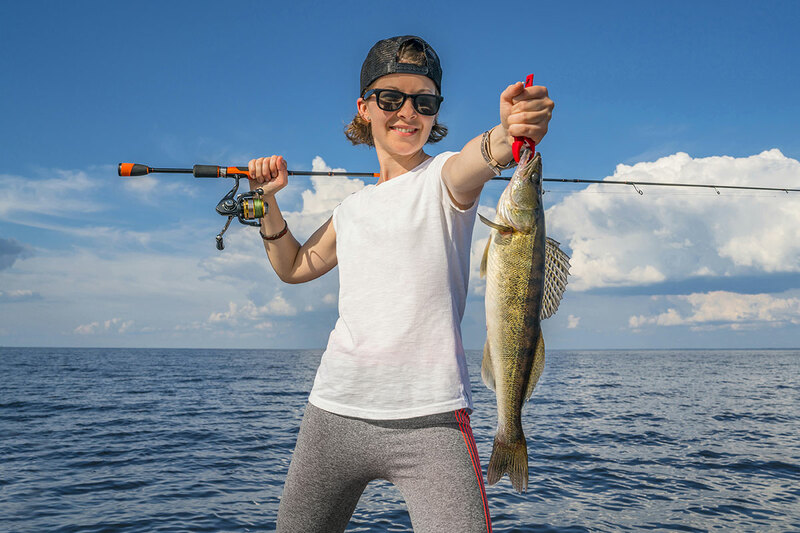 Grindstone City was taking a mix of walleye, steelhead, and lake trout straight north in 100 to 140 feet with small spoons on downriggers and lead-core. Port Austin pier fishing has been spotty. Some nice smallmouths and small perch were caught off the north wall. Tawas anglers trolling off Tawas Bay were fishing 50 to 60 feet off the crib down at Alabaster and getting decent numbers of walleye and also pretty good numbers of steelhead. Recent warm, muggy nights have stimulated some late mayfly hatches that seem to be bringing the steelhead into the area. Tawas River pier and river fishing are slow with mainly tourists fishing and catching the odd rock bass, smallmouth, catfish, drum or pike. Find out where panfish are hiding as the temperatures heat up. The best thing to do is find their food source and cooler water. These fish will often head to the middle of the lake and to deep weedlines, as well as places like rock piles. Head out early – say at sunrise – and get in a few hours of uninterrupted fishing. Dusk and after dark are also great times to fish for panfish. Have a variety of bait options available, including small spinners and crankbaits, worms, minnows and wax worms. You never know what might interest a panfish most! 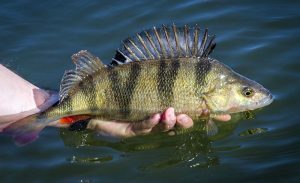 Want to learn more about fishing for panfish in Michigan? Check out all the details you need to know on their Michigan Fish and How to Catch Them pages.